I received my second royalty check yesterday and was shocked (and a bit embarrassed) by how few books I had sold online in the past couple of months. I’ve been a big advocate of online promotion, and I’ve had a great time connecting with people on Facebook, Gather, Twitter, Goodreads, this blog, and other sites. Apparently, however, while I’ve been making friends, I haven’t been making sales. I realize the economy is bad, that people are spending money for vacations and back to school clothes, that many people are without work, but that can’t be the total answer since 30% of each of my books is available as a free download on Smashwords. And people aren’t downloading them. I’ve been saying all along that I’m missing a piece of the on-line promotion puzzle, and this just proves that I am right. To be honest, I still don’t know what that missing piece is. I get dozens of emails from authors telling me about their books, giving a synopsis and a plea to buy. I won’t follow their example. Such emails might work — people are kind and often will follow through — but I find them intrusive. And annoying. So annoying that I don’t even bother to read them. Since I won’t do unto others what I won’t let them do unto me, emailing people is out. I know many authors who continually speak and write of their books, cramming them down our gullets until we want to scream. We can’t scream, of course, because that book is gagging us. That’s why you never hear a protest against this sort of tactic. I could do what other authors are doing — give up on promotion to concentrate on writing another book that might be “the one.” The problem with this (for me, anyway) is that I already have two more books that will soon be published. Daughter Am I (sort of a gangsterish book with my own twist on the bootlegger story) will be published in August, and Light Bringer (sort of a science fiction, alternate history, retelling of human history novel, with my own twist on the past), will be published in November. So, what’s the answer? I promise, when I figure it out, I will let you know. By November, I hope. Light Bringer is my magnum opus (of the four people who have read it, two called it brilliant; the other two merely said it was wonderful), but how magnum can an opus be if no one reads it? I saw your notes, Jerrica. They included some good suggestions. I hope you will write them up for my Book Marketing Floozy blog. I really think online promotion is a matter of time and putting oneself out there, getting your name known, and hoping that eventually people will get curious about the books. Absolutely, Pat! And I agree completely…getting your name out there is of utmost importance! Keep plugging away, Pat. Not that I have any experience in promotion (don’t have anything to promote…yet), but perhaps the answer lies in finding other avenues for promotion besides the internet. Hi, my name is Kalieris and I’ve been a member of with mixed-genres anonymous for quite some time now ;). Seriously though, I couldn’t agree with you more about those one sentence summaries. To query or not to query is my motto lately as my skin gets thicker and the wounds scab over. Hang in there! Marketing is difficult for me. I’m just not a good salesman or marketer. I didn’t do well with it in college classes or the business world. As a matter of fact, I’m a corporate purchaser, and I can smell a bad sell coming a mile away. I’m a tough purchaser and the sellers don’t get anything by me. I can’t just flip to the other side and sell, no matter how much I love the product. Even my own books! Help me Pat! Wow! Thank you for all the wonderful comments. My books are still fairly new, so it’s too early to tell about the success of my marketing plan (such as it is). I do know that promoting online via social networking is a slow way to sell books, but I still believe in it. Online is the one place where maybe, just maybe, the book could go viral. (That’s an inside joke since “A Spark of Heavenly Fire is about a flu-like disease that decimates Colorado.) In the end, it’s a matter of setting my pace so I can go the distance. The journey of a writer is a thousand mile, but you have started. Hang in there, and it might provide a healthy return when you’re not expecting it in retirement, lol. As far as genres, I don’t think there is any actual requirement for a writer to limit themselves to one genre. That would be almost like forcing an actor or actress to play only one type of role, even if the material happened to be something like Shakespeare. But if you really WANT to define your genre, I would look for a common thread between all of your published works, such as historical-suspense, supernatural thriller, alternate history, etc. As far as publicity and sales, I would look for some books that show how some of the greats in various fields succeeded at this task. There may be some at the library, but there are definitely some in major book stores. I do, however commend you for not doing what you would not want done to you. For one thing, you can see for yourself, from your own response just how ineffective such tactics are. Network marketing is definitely overhyped, mostly by people selling network marketing systems and tools, and they always focus on motivation as the key, as if wanting something enough is all that matters as to whether we get it. That is by definition what’s called, “Magical Thinking”. You’re better off doing what all the great writers, artists, and musicians did to get where they got and that information can be found in their biographies and histories, as well as books analyzing their methods. Light Bringer does look like intriguing subject matter, by the way. One more thing, the shorter and more memorable your book titles are, the better. It’s hard to find a book when you can’t quite remember it’s title. If it’s any consolation I think the same thing applies for all of us. But you keep on keeping on and the snowball gathers size and speed. Just very slowly. That’s my experience, at least! An additional comment: Many people also believe that as long as they work hard, they will be successful. But, hard work is not the real key to success, which is actually smart work aimed at increasing quality, actual need for a product or service, coupled with initial rarity of such a product or service and control of the idea, so no one else can duplicate it for awhile, followed by productivity to maximize profit from the resulting demand level. Stuart, I’m really glad to hear you say that about success. I know it’s ingrained in us from youth that hard work, optimism, belief, and motivation will make us successful, but that is not always true. Having a novel as a product is a problem because no one actually needs any one particular book. And is any novel truly original? I doubt it. Besides, novels certainly aren’t rare! Yes, it’s true that no one truly needs a novel in the same way that they need food, shelter, sleep, etc. But, in the sense that novels can provide comfort and enlightenment, even when they are not talking about anything from the real world, then they do fill a real need, for the soul and the mind. As far as being original, I think that has more to do with providing an original mixing of concepts and ideas, rather than what is considered true originality. I forget who it was who said, “There’s nothing truly original under the Sun.” But, that statement does really put things into perspective. I guess the key to the success for any product has more to do with it’s usefulness and uniqueness, combined with the other factors I mentioned in my earlier posts, than with actual literal need and originality. In regard to hard work, I would say steady work is more important than hard work. A car that steadily progresses down the road is doing a better job than one spinning it’s wheels in mud, snow, or ice, yet the one spinning it’s wheels is working much harder. Pat, I’m in the same boat. My book gets good reviews and favorable responses, but sales… well, let’s just say I’m missing that online promo puzzle piece, too. I think part of my predicament is that my book is a quiet, character-driven novel when what’s hot right now is big blockbusting high concept fare. I shall, nonetheless, keep plugging along — I’m working on my next novel, which is more high concept, and then will come another novel, for which I have even higher hopes (quite high concept, that one). So we’ll see what happens. And in the meantime, I’m having fun — making friends and learning along the way, and I think, when all is said and done, that’s the most important thing of all. Hang in there, and best of luck! Having read through these reponses I’m struck by the one thing – most people feel that something is missing in their efforts to get sales. Well, the thing that’s missing, sadly, is the trad publishing house behind your work. When indies produce their work they don’t have the publisher behind them and the reputation that publisher carries. They also don’t have the distribution network to brick and mortar stores, etc. Everything we do has to be smaller and slower. The truth is, it takes a long time to build an author platform and an online presence, and start your own reputation. I’ve been at this for three years now and I’m still only just getting started. 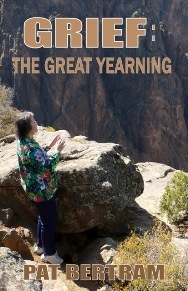 I have two novels out, which are selling very modest numbers, but they are selling. I have a free novella through my website, I have numerous short stories on their too, I have a blog that gets around 5,000 visits a month. All this stuff had taken a long time and a concerted effort to build and my sales are still very modest. But they are going in the right direction. When you’re competing against trad backed novels in bookstores that are numbered in their THOUSANDS every month and usually cheaper, it’s hard to get noticed. But the more you do get noticed, the more you will get noticed. Just keep at it – I’ve come an awfully long way in three years and there’s still an awfully long way to go. But I’m getting there. Thank you everyone for your wonderful advice and encouragement. I’ve met so many people who generously share their expertise that promotion isn’t a chore for me — it’s a pleasure roaming the blogosphere and social networking sites. It’s like a giant party, where everyone is milling around, looking for the right connections or at least the tastiest tidbits. Pat, I’m a little late to the discussion, and this is going to sound kinda dumb, but…I think the price point for your books might be part of the barrier. I realize this is probably out of your control, but I wanted to mention it. I know in this economic climate, with so many people I know struggling and/or out of work (including me! ), every dollar counts. Lisa, No it doesn’t sound dumb, and yes, I think that is part of the problem, and you’re right, it is out of my control. A lot of times when the economy starts to improve, people will spring for small luxuries, such as an expensive book, so perhaps I will see an upsurge then. Or else make people so desperate to read the book that it the cost won’t matter. Yeah, I hear ya. My book is coming out in hardback, which thrills me to no end, but it’s one of those double-edged sword thingies. I think it’s something to bring up with your publisher though. Trade paper is really an awesome format, but personally I think the price needs to be about 4 or 5 bucks lower than how they are pricing it. I will pay more for paper if it’s, say, a guidebook with lots of photos and maps. Otherwise I think we are all waiting for the coming eBook revolution! I think eBooks are a great way for readers to take risks on new authors, if they are priced right. I need an eReader, dang it…I think I’m going for the iPhone. That’s why I like Smashwords. 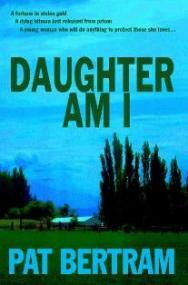 My books are available in all the ebook formats for $5.00 each. And you can get the first 30% free, so if you don’t like it, you don’t have to buy it. Well, cool! I need to pass this on to Dana, who really wants to read “Heavenly Fire,” and who like me, is on a strict budget. 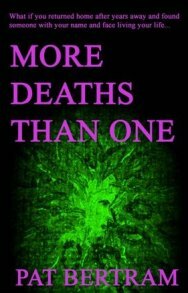 I will go for “More Deaths than one.” I really like that concept. I understand the scary bad finances. 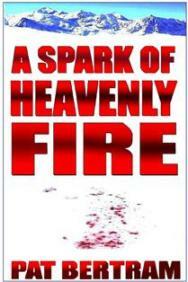 If a plague-filled book will cheer you up, you should be dancing in the streets after reading A Spark of Heavenly Fire.